Rachel Cusk’s divorce memoir Aftermath, reviewed. Rachel Cusk’s memoir of her marriage’s collapse. Most of all, they never tired of asking whether she regretted having her children. As Cusk has written: “What meaning could such an admission possibly have? My children are living, thinking human beings. It isn’t in my power to regret them, for they belong to themselves.” Exactly. A Life’s Work remains better reading—exponentially more memorable and less self-indulgent—than the many Bad Mother chronicles that have succeeded it. If you have young children and feel thrown by how their small identities have subsumed your own, I recommend it, along with a stiff drink (yes, even if you are nursing). The blood sport is hard to watch—and perhaps hard to write as well, because Cusk quickly pulls away, filling the rest of this thin volume with glancing impressions of her new life rather than dissecting the carcass of her old one. She is surely protecting her privacy, and her children’s, and that’s a natural and healthy impulse. But it makes the book at once too revealing and not revealing enough. It’s the kind of memoir that made me long for writers who have more distance and perspective from their material, who are less inclined toward big-gun metaphors of Greek mythology and more inclined—at all inclined?—toward humor. Diana Athill, Nora Ephron, even Joan Didion, who’s hardly a candidate for the Thurber Prize, are warmer company on a cold night. and so I did two things: I reverted to my old male-inflected identity; and I conscripted my husband into care of the children. He was to take the part of that twin, femininity. He was to offer her a body of her own to shelter in, for she didn’t seem able to find peace in me. My notion was that we would live together as two hybrids, each of us half male and half female. That was equality, was it not? He gave up his law job, and I gave up the exclusivity of my primitive maternal right over the children. From my own perch as one half of a two-career couple, I couldn’t help wondering whether Cusk could have scrubbed the devastating transvestite imagery from her brain if her husband had just gotten a job. In fact, it seems that while he quit his law practice to take care of their daughters, he has since become a well-received photographer, and recently—obligatory nod to irony here—a family mediator who helps couples manage their breakups. I guess his newfound work didn’t do the trick. 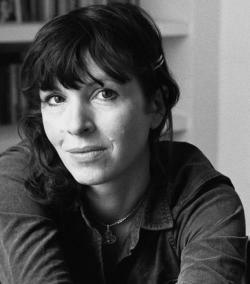 Cusk has concluded that as her marriage fell apart, “the whole broken mechanism of feminism was revealed.” She continued, in an interview with the Guardian: “I had expected to find, at the end of the family structure, at least some proof of feminist possibility, however harsh, But either it wasn’t there or I couldn’t find it.” Instead, she does not want to pay him child support. She does not even want to share custody with him. “The children belong to me: once I would have criticised such a sentiment severely, but of certain parts of life there can be no foreknowledge,” she writes. The Rachel Cusk of A Life’s Work, the incisive if brittle opponent of the mommy police, who knew without question that children belong to themselves, isn’t running the show in Aftermath. In her Guardian interview, Cusk says she wanted to describe her “primitive and fairly ferocious feelings” about her children, which the separation brought out, and which contradicted her own feminist politics. She succeeds, I think, in showing us her own dread that her daughters have been damaged. But the more layered emotions and possibilities go unexplored. Why precisely does Cusk think she shouldn’t share custody with her husband—after all, wasn’t he their primary caretaker? What arrangement have the ex-couple actually made? I’m not sure. In one memorable scene, Cusk and her children visit a maker of fanciful hats and headdresses. One of her daughters tries on a mask of a stag and asks Cusk to buy it for her, please please. Cusk gropes for a sense of her own authority and decides to say no merely to establish it. Instead, her daughter withdraws the question, telling her mother not to worry, she’s changed her mind. To me, this suggests a daughter’s effort to compensate for her mother’s weakness, to self-abnegate rather than tax a parent’s strength. I would love to read Cusk on that possibility. But she lets it go, unexplored. Perhaps she feels uncomfortable probing her daughter’s psyche, but then why is she tantalizing us by starting to? Instead of showing us the effect of divorce on her real daughters, Cusk inserts into her narrative extended interpretations of Greek tragedy. It’s meant to be insight by analogy. 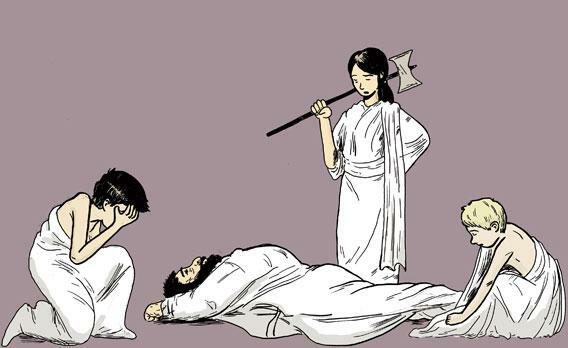 In Cusk’s reading of the Oresteia, Clytemnestra is the original working mother; she has to run the kingdom while Agamemnon fights the Trojan War, as she single-parents her son Orestes and her daughter Electra. The family’s biggest problem, of course, is that Agamemnon has sacrificed his older daughter Iphigenia to the gods, to win the fair winds the Greeks needed to sail for Troy. Maybe such an overwrought indictment of marriage is plausible, or even necessary, for Cusk in the throes of her gory divorce. But I wonder if she’ll wake up in a few years and read these pages as artifact rather than felt truth. I also wonder if being in the throes of a breakup just tends to undo good writers—it’s happened before. In any case, my favorite thing about Aftermath is that it ends with a chapter of fiction—a short story. It’s about an au pair named Sonia who witnesses, and facilitates, the unraveling of the woman she works for and her marriage. Sonia is a modern, well-off mother’s nightmare: The younger nanny who supplants her. But in the end, it’s Sonia who has to leave. In the book’s final image, she makes a stollen for her former employers, who are living separately from each other, and divides the cake into two equal halves, one for each of them. The male and the female: symmetrical but cut apart by a knife. That’s Rachel Cusk’s vision of divorce, rendered more clearly in fiction than she can manage, as yet, in fact. Aftermath: On Marriage and Separation by Rachel Cusk. Farrar, Straus and Giroux.